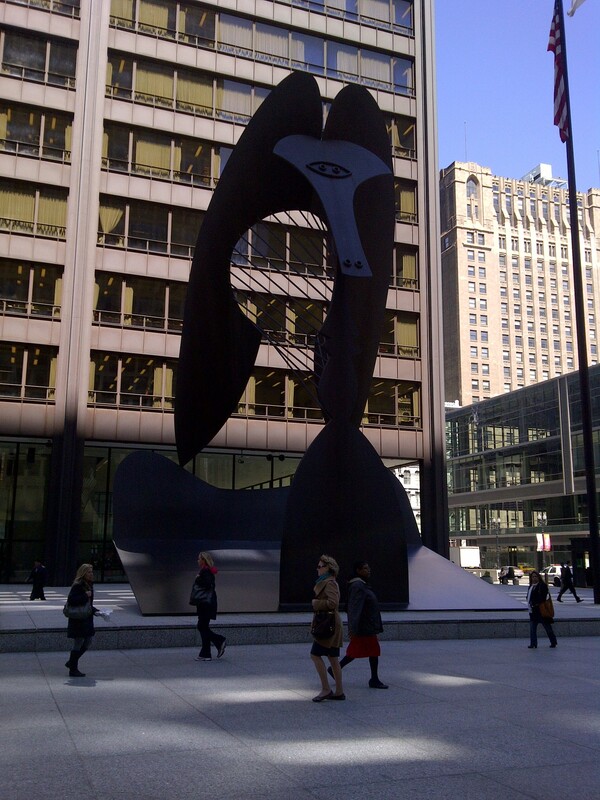 The Picasso at the Daley Center in Chicago. I am taking up the Saturday Challenge that “Bringing Europe Home” has offered. I will use the quote from a Master, “Everything you can imagine is real.” by Pablo Picasso in a post. This quote by Picasso resonates in my heart for I truly believe that what you think is what you are. If you believe that you are successful then you will be, and if you believe the opposite, then you will be. In his book entitled, The Power of Positive Thinking, Dr. Norman Vincent Peale wrote, “Change your thoughts and you change your world.” Therefore, if you do not like what you are or what you believe you are, then simply change your beliefs. Of course, changing your beliefs is a process that you must work at to achieve. What is amazing is that if you consciously direct your thoughts toward what you wish to be, suddenly, you will be your thoughts. Here is an example from my own life: I went to college to become a teacher, I went through all the classes, completed my student teaching, but still did not believe I was a teacher. When I secured my first teaching position, I began the year by putting up my bulletin boards, filling in my class list, and making my lesson plans. On the first day of school, when I picked up my class from the playground, a mom pointed at me and said to her son, “See, she is your new teacher.” It, then, hit me. I am a teacher! Amazingly, even though I had worked four years to become a teacher, it was not until that moment that I believed. Unfortunately, we do not always have someone to name what we are, most times, we have to believe it and live it ourselves. The magic in this thinking is that one must also work towards what you imagine in order to make it real. There are steps that must be taken before you can make your beliefs a reality. Hence, if you want a new car, you can imagine all you want, but it will not become yours unless you first work towards your goal and believe you can have it. For most of us, a car will not appear in our driveway just because we imagined it. We must take the steps to achieve what our minds imagine. We have to think of our thoughts as a seed that we plant, water, fertilize, and eventually it becomes a beautiful flower. Then, everything we imagine is real. Posted in Words of Wisdom and tagged "Change your thoughts change your world", "Everything you imagine is real", "The Power of Positive Thinking", Bringing Europe Home, Chicago, Daley Center, daley center in chicago, Dr. Norman Vincent Peale, Grandmother Musings, Grandmother Wisdom, Pablo Picasso, Picasso, postaday, quotes, Saturday Challenge, Words from the Masters, writing. Bookmark the permalink. You are so right Jamie. As I always say “dreams without actions are only day dreams”. Great post. I will dear, thank you.